Lawrence, KS home to Kansas University, known for being one of the best basketball teams in the country. This city lives for KU basketball, you can feel it as you walk down Mass street, or visit the local tavern to catch the game. Better get their early or there won’t be room to sit. Lawrence isn’t only all about basketball though. It has incredible history, buildings, and people. You can get married in one of the tallest buildings in the city with the best views, spend a fancy evening at a haunted hotel, go golfing before your wedding and get married on the same course, or visit the country and have a rustic wedding. So let’s talk about the top 5 reasons to get married in Lawrence, KS. 1. Lawrence has a haunted hotel you can get married in. The Eldridge Hotel is on 7th and Mass where it has the best view of downtown and one of the coolest histories. It has a large ballroom, beautiful rooms to get ready in and one of the best bars in town. The Eldridge was burned down and destroyed twice. And rebuilt each time by Colonel Eldridge. He’s also the one that named it, the Hotel Eldridge. “To this day, the seal of the city of Lawrence depicts a phoenix rising from the ashes. Its motto is “from ashes to immortality”. The seal and motto exhibit the determination by the people of Lawrence to stand and fight for the rights and dignity of people everywhere.”. Read more of the history of the Hotel Eldridge here. There are rumors of the hotel being haunted. So be prepared as you could happen to see a ghost. Although the many times I’ve been there, they have not made an appearance yet. The hotel is currently under renovations and will be completed the end of 2018. In the meantime you can see their photos here. 2. The Oread Hotel has one of the best views in town and closest access to KU’s Campus. The Oread hotel sits at the highest point in Lawrence. It has a 360 degree view over all of Lawrence and has a bar at the top level called, The Nest. They do close it down if it gets too windy, and as Kansas winds go this can happen often. However they have other floors to have outdoor ceremonies with a great view of downtown Lawrence. If it’s bad weather they have two ballrooms for receptions and you won’t hear each other if they are both occupied. It’s also walking distance or an extremely short drive to campus for wedding photos. Potter’s lake is around the corner and down the hill from the Oread. Since it’s a hotel, you won’t have to worry about guests drinking and driving. Just getting up the elevator to their room after the party. The Jayhawk Club, previously Alvamar golf club, is a brand new country club, also a wedding venue built in 2017 in Lawrence, KS, where you can get a workout in the day before, get your tan on at the gated pool, golf the morning of your wedding, have a private ceremony on the green and party till the late hours without worry of disrupting the neighbors. They have built a new wedding hall that will hold up to 300 guests. If the weather is agreeable, you can get married on a private green in front of your guests. If mother nature decides to make is snow in April, The Jayhawk Club has an indoor reception hall surrounded by windows on 3 sides, so your wedding will still be bright and beautiful. It also provides custom catering by a highly trained chef and management will make sure your day runs smooth. Jen, manager, has been managing weddings here for quite a while and has amazing reviews you can see here. 4. Love rivers? Abe & Jake’s is a riverfront venue with easy access to downtown Lawrence. It was originally a barbed wire building in the late 1880’s. Thru the years it’s changed ownerships, sat vacant for time and was restored to it’s beautiful condition now. To read more history about the venue click here. It’s also located next door to a hotel. So you won’t have to worry about serving alcohol to guests and them driving home. They only have to walk the parking lot. If you want to go out after your wedding, it’s super easy to grab an UBER and take you the few blocks to some of the local bars on Mass street. This is a vew of Abe & Jake’s from across the river. 5. If history is your thing. Liberty Hall is a 100 year old active theatre also used for weddings. It was built in 1856 as a newspaper company and later in 1882 became an opera house after it was destroyed. A variety of entertainers have been to Liberty Hall, from Oscar Wilde, to Tina Turner, to the Wu Tang Clan. It’s still in use as a theatre and concert venue. Many times I drive by and see people in line waiting to be seated for the concert showing that evening. Liberty Hall has an amazing history along with most of Lawrence. More details can be read here. It’s also next door to the best coffee shops in town and restaurants. La Prima Tazza is one of my favorite coffee shops to visit, most of Lawrence will agree to that as well. They must put fairy dust in their coffee because it’s just that good. Freestate Brewing Company is two shops down and a great spot to stop for a quick beer before your ceremony. If you have time while visiting Lawrence to check out your venue, this is a great spot to stop and grab a bite to eat as well. Try their seasonal beers too. Photos of the venue can be seen here. There are many more reasons why you should get married in Lawrence, KS but these are a great start. 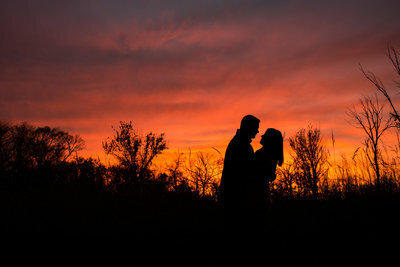 If you’d like to see some of the weddings I’ve photographed in Lawrence please click here.